Being a mom is a crazy, fun, challenging, but rewarding experience. In fact, everyone’s experience and take on motherhood is so different that no two moms have the same outlook. Samantha, The Samantha Show: I think my favorite part about being a mom is seeing them happy. I love to make them laugh and love to see them enjoying life. Their unconditional love is also the best thing in the world. Even when I fail, I’m still Super Mom in their eyes. Maggie, Polished Closets: My favorite part of being a mom is spending time with my little guy. I’m a new mom, and I could just stare at him for hours! He is only 5 weeks old right now, and I love learning about his personality as it starts to show. Mandy, Momma Society: The love and laughter it has added to my life–I swear half of the wrinkles on my face these days are from smiling so much. Heather, My Life Well Loved: My favorite part about being a mom is seeing how Leyton and I have a bond like no one else on earth. God created it in us and I’m so grateful I get to experience his giggle, calls for mom and stinker face that we lovingly do. It’s the most amazing thing to see your husband and yourself in a little human. Lindsay, Middle of Somewhere: I love being able to see how my daughter changes and grows as each day passes. She never ceases to amaze me when she picks up a new skill or begins using a new word. Sandy, Sandy A La Mode: Being able to see the world through my children’s eyes. Lee, Do Say Give: Being the light and beacon in their life. So much responsibility but also such a gift. 2) What’s your biggest challenge when it comes to motherhood? Samantha, The Samantha Show: I think my biggest challenge is staying patient. There are so many days when I snap and I hate how I feel afterwards. It’s hard to control my emotions when my patience is running thin. And the fighting… I’m a constant referee between my son and daughter! 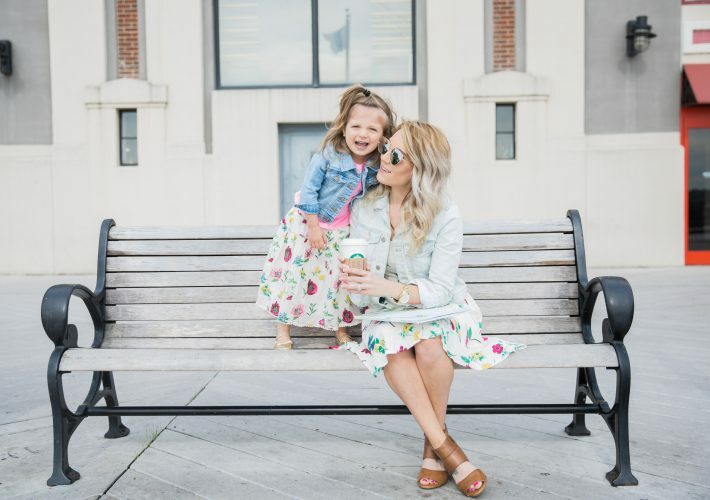 Maggie, Polished Closets: My biggest challenge when it comes to motherhood is fighting my anxiety! Anxiety about if I’m doing everything right, making sure I’m not going to screw him up in some way, or just random little things. I am definitely protective of him and have struggled with having too many people over and wanting to hold him. Mandy, Momma Society: Taking care of myself. I did horrible with this during my first year of motherhood. Struggled with postpartum. Questioned if I was made out to be a mom. Once I finally realized that I had put myself on the back-burner and started to prioritized the things that were important to me pre-baby, a whole new world opened up. Heather, My Life Well Loved: My biggest challenge is coming to the realization of how selfish I can be. It’s hard to not feel bad when I have work to get done but he’s there with me. I feel bad for being behind on the blog but then worse for ignoring giving him the attention he needs to finish up a post that’s due or something of the like. We waited till later in our marriage than most to have kids so adjusting to not just having all this time to ourselves sometimes is hard as a really social couple. Luckily, Leyton is pretty go with the flow so we are incredibly grateful for that gift! Lindsay, Middle of Somewhere: I really struggle at times with giving attention to unwanted behaviors. I know that the more I pay attention to something, the more she will do it, however I always have a hard time ignoring unwanted behavior! Sandy, Sandy A La Mode: Discipline. I never know if I am doing it right, being too harsh, being too lenient. I definitely think it’s a constant learning process. Lee, Do Say Give: Managing it all! 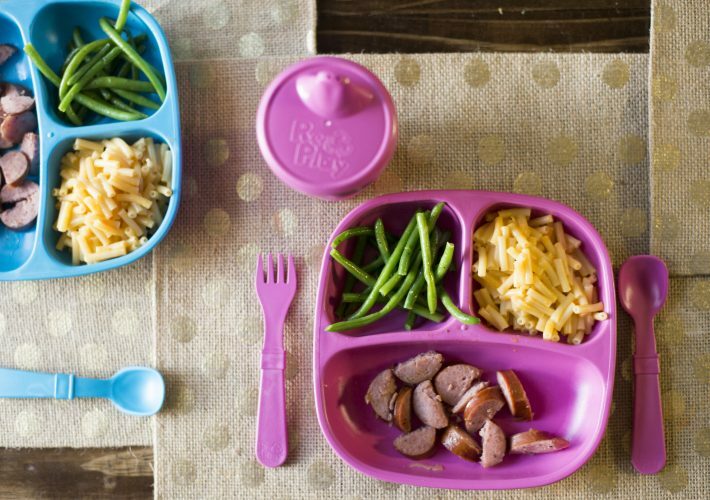 As much as I try to pare down their activities, with three children life is a lot to manage with homework and dinner and everything else in life. I am always in the process of trying to find the “perfect” schedule. 3) What’s been your favorite age of your child(ren) so far? Samantha, The Samantha Show: Every age has ups and downs but I think the toddler years have been my favorite. To see them crawl, walk, talk, form sentences… they’re actually little people now! Maggie, Polished Closets: My son is only 5 weeks old, so I can’t pick yet! Lindsay, Middle of Somewhere: My daughter’s current age, almost 2, is by far my favorite. She literally says a new word almost every day, and has become such a little person, rather than a baby. Sandy, Sandy A La Mode: 9 months – 2 years, it’s when they react, start to learn, and their words and thoughts are oh so cute! Lee, Do Say Give: It gets fun as they get older. My 10 year old is allowed to stay up later than her sisters and we have great conversations and laugh so much together. You definitely see the rewards of the hard early years around this age. 4) How do you balance blogging and spending quality time with your child(ren)? Maggie, Polished Closets: Right now, I am able to work on my blog while my son sleeps, which is a lot! He is still an infant, so I can hold him while he sleeps and blog at the same time. But, as he grows older, I plan to set aside time to blog while he naps. And, I try to plan ahead as much as possible when it comes to blogging, so I hope that will help when it comes to post prep. I find that doing a little at a time also helps break up the process, so I may just have to figure it out as I go! Mandy, Momma Society: I try to blog during nap times and evenings. I am learning there is no such thing as balance in this point of my life, but spending time with my toddler is my priority. The time goes too fast! Heather, My Life Well Loved: I have a babysitter three days a week from 8-3 who helps me be able to have quality hours to work on the blog and exercise. Then I take a break when I’m with Leyton from about 2:30-5 and then catch up on emails while he naps and then work again in the evening after he goest to bed if needed. I’m so grateful for my 2 days a week at home with him but sadly that doesn’t mean work can just stop those days…I just get less done, ha! Lindsay, Middle of Somewhere: Since having my daughter, I have significantly cut down on blogging and social media. I only post twice a week now, whereas before I posted 3-4. When she is around and awake I make a conscious effort to stay off my phone (unless we’re playing on Snapchat! ), and save all things blog related until she’s asleep or hanging out with my husband. Sandy, Sandy A La Mode: I’ve gotten down a pretty good routine. I work at my job as a Healthcare IT Consultant from 8AM – 5PM, I go to photoshoots or blog from 5-6PM, spend time with my kids fro 6:30PM until they are asleep, and then I blog until 2AM… I’m a night owl for sure! Lee, Do Say Give: I try to get up an hour before my children do and get so much accomplished in that quiet hour. I also work when they are in school, too, but I also have a sitter one day a week to help when I get overloaded. 5) Do you like to buy clothing to match your mini? Samantha, The Samantha Show: Yes I love it! If it’s cute and only if it’s something I would wear without her. If I can coordinate with my son I do that too. Maggie, Polished Closets: I’m not a huge fan of complete matching looks, so I go for more of a “coordinating” look, like wearing stripes or the same color palette. I’m sure when I have another child I will have them match each other! Mandy, Momma Society: I love coordinating with my little boy. Stripes are always a favorite. Lindsay, Middle of Somewhere: YES. I think it’s a sickness. My recent favorite purchase is matching overalls and white Converse. I can’t help myself! Sandy, Sandy A La Mode: Yes, all the time!! I love twinning with my girl so so much. We pretty much match at least once a week on my blog! Lee, Do Say Give: I’ve only done that once or twice but we do coordinate Lilly Pulitzer. I also like to match my three girls with trunk show companies like Mary and Grace and Alice Kathleen. 6) What are your favorite stores to shop at for Mommy and Me outfits? Samantha, The Samantha Show: Old Navy is my favorite! Mandy, Momma Society: Zara! Looking forward to adding a little girl to our mix in July for more Mommy & Me outfit options. Lindsay, Middle of Somewhere: Old Navy always makes the perfect mommy and me outfits! They always create pieces with the same colors and prints for toddlers and mamas. 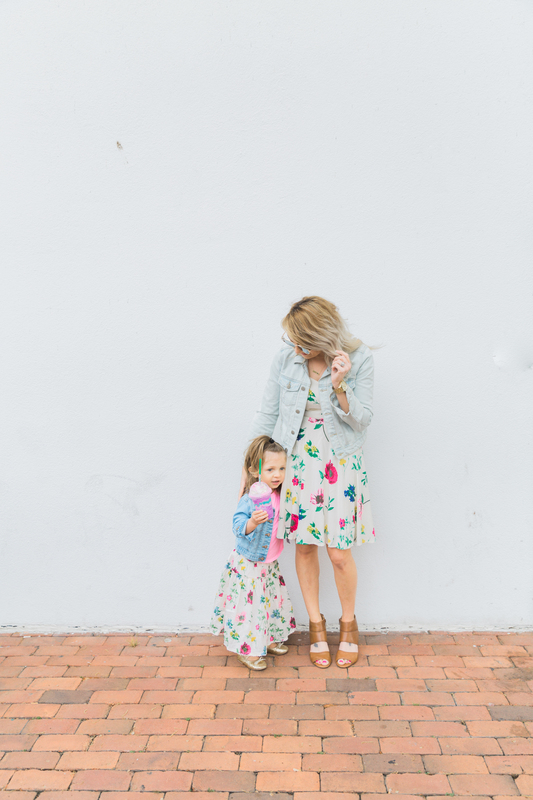 Sandy, Sandy A La Mode: I actually just blogged about a Mommy and Me outfits shopping guide and listed over 50+ places where I like to get twinning outfits! Lee, Do Say Give: Lilly Pulitzer! 7) If you could offer one piece of mommy advice, what would it be? Samantha, The Samantha Show: Don’t beat yourself up when you have a bad day. Heck a bad week or bad month either. We’re all just doing the best we can. Show them love, support, and attention and you’ll be just fine. Maggie, Polished Closets: Be easy on yourself. No one is perfect, and you are doing the best you can! Also, it’s ok to express how you feel to your spouse – they are there to help you, so use them! No one can do it alone. Mandy, Momma Society: Momma knows best. With all of the advice & opinions floating around, only you know what is best for you and your little one. Heather, My Life Well Loved: Go with the flow! As a type-a person formerly, I’ve had to let go of a lot of things. Funny how God uses kids to teach us so many lessons! My schedule is still very detailed in my planner (or else I’d forget!) but it’s more like a reminder and loose time frame knowing that more than likely I”ll be late and that’s ok. The world will not end if Leyton has a dirty diaper and that makes us run 10 minutes late. We have also been very go with the flow as far as having Leyton fit into our lives instead of the other way around. When we want to visit friends, we go and bring the pack and play. We’ve always done that and now Leyton doesn’t think a thing of it. In fact, the other night we put him down once in the pack and play at a friends house and then changed locations to visit a different set of friends and put him down again in another home. He doesn’t think a thing of it though. Go with the flow will get you everywhere, my dear. AND, hey, if that’s not your way…that’s ok. It’s all about doing you and your family, momma! Lindsay, Middle of Somewhere: Do what works for you and is best for your family! Everyone is always going to have an opinion, but as long as you put your family first, you’re doing the best you can! Sandy, Sandy A La Mode: Nobody’s a perfect mom, so just do your best! We all have mom struggles and at times you may feel like a failure, but as long as you are doing your best to keep your children healthy, safe and happy, then you are doing your job right. Lee, Do Say Give: My children are 4, 7, and 10 and I can send them all upstairs to take a shower, put on their pajamas, brush their teeth, and get ready for bed BY THEMSELVES. I never thought I would get to this point where they are so independent. So to the mommies in the trenches of baby and toddlerhood, it does get easier! And there you have it! So many amazing mamas with so many different tidbits to share with you. Please share and tag a mama who may need a little encouragement. There’s no right or wrong when it comes to parenting 🙂 XO!